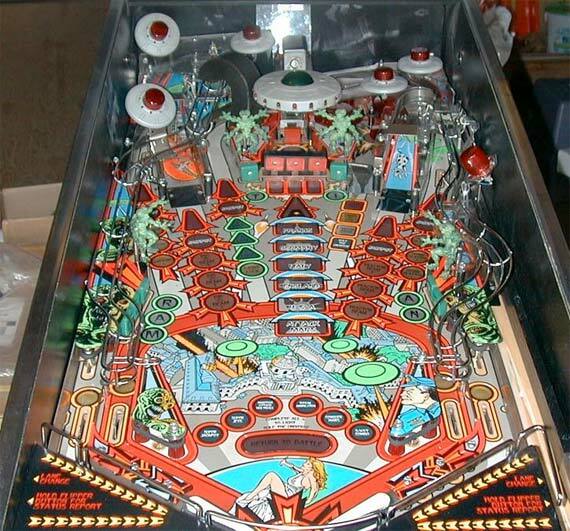 Check out these Attack From Mars Pinball Machines for sale. You will also find parts and accessories for current owners including the rubber ring kits, decals, manuals, translites, flyers, lobster cow, flying saucer UFO topper, and red eye martians. ATTACK!! !